Indian road conditions often make car buyers go for cars with high ground clearance. Vehicles with high ground clearance are very practical and ensure that the driver does not get constrained by bad roads. However, ground clearance kills the stance and that’s something only lowered cars can master. In a world where almost everyone is worried about scraping the underbody, meet these bravehearts who prefer a beautiful stance to everything else. The Swift is an extremely popular name in the Indian car market. Maruti launched the new-generation Swift earlier this year, which has proved to be another success for the company. Even though the new Swift turns a lot of heads, this one grabs eye balls because of its simple yet powerful modifications. 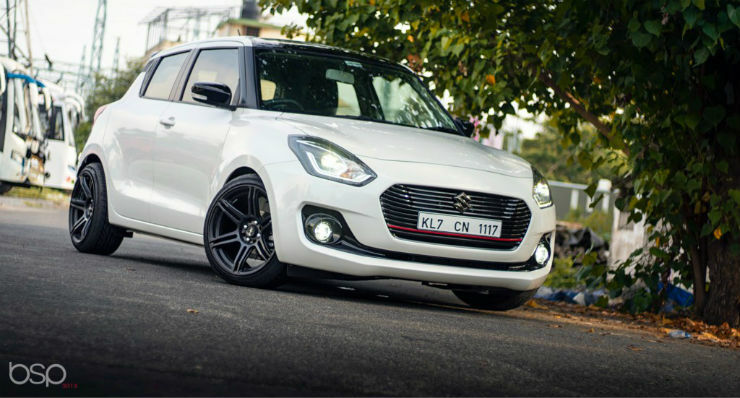 The Swift seen here is one of the first modified and lowered new-gen models in India. It gets lowering springs and larger rims set in negative off-set. The low-profile tyres give it a captivating look. It also gets a pinstripe on the grille, much like the RS variant of the car. 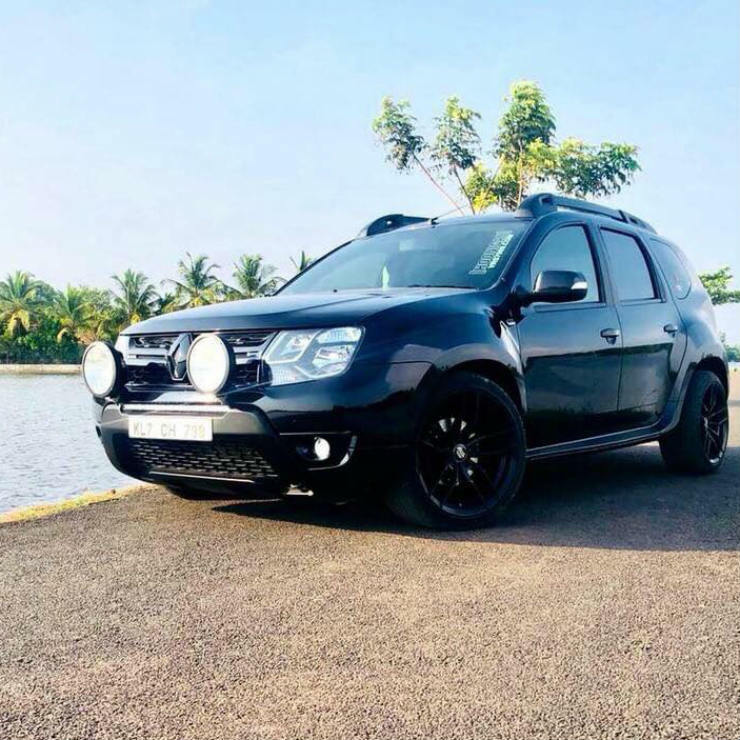 The Duster is a good old, trusty SUV that has its own fan following in India. However, it has been around for long enough for people to ignore it on the road. Here is a Duster that gets a 60-mm drop in ground clearance giving it an extremely enticing stance. The 60-mm drop pushes the Duster’s ground clearance down to 150 mm, which is lower than many hatchbacks. 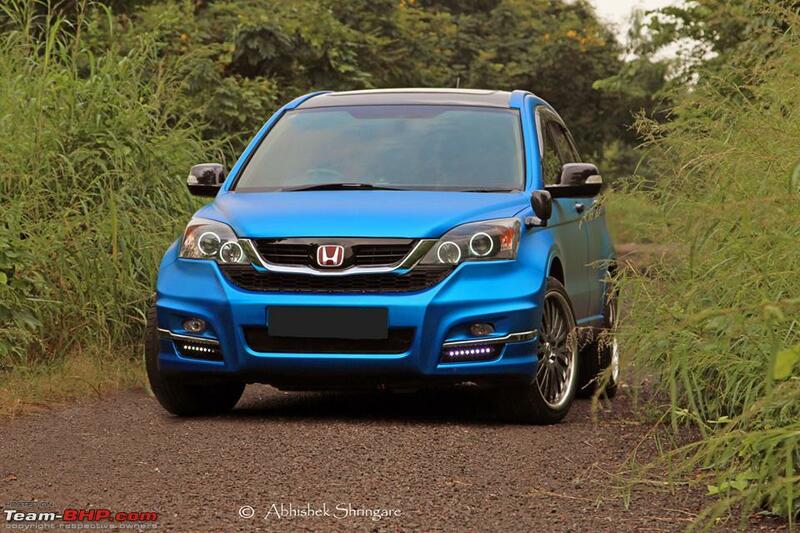 The vehicle also gets a Code6 performance remap, chrome delete and new 18-inch rims. There are about 50,000 Honda Civic cars on Indian roads, and almost none of them are in stock condition. 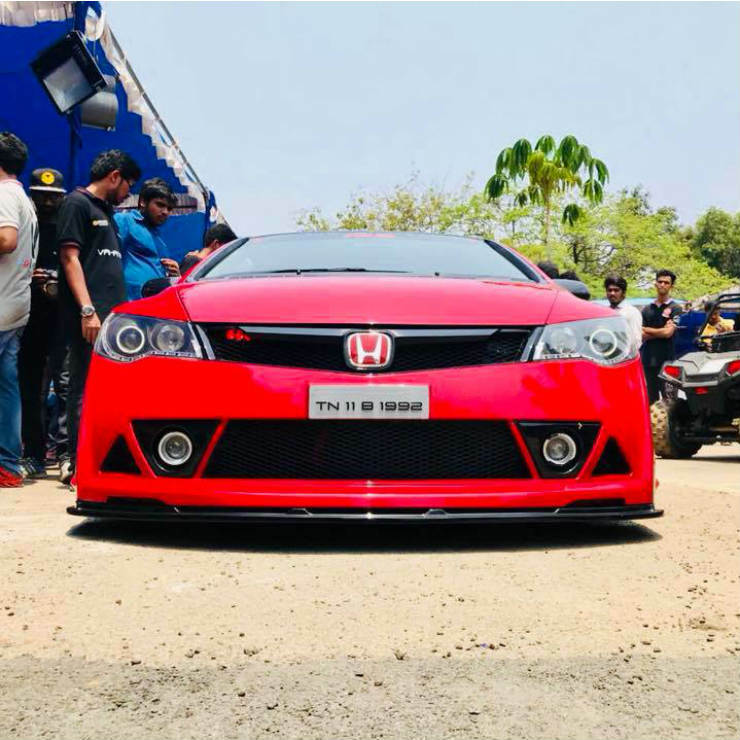 Here is one such Civic from Tamil Nadu that is the first one to get a Mugen body kit with air suspension. The red-hot Civic also gets Race Concepts standalone ECU, exhaust system and 17-inch rims. The air suspension allows the car to go up and down as per needs. It gets negative cambering that adds to the extreme stance of the car. The Toyota Corolla is the best selling sedan in the D-segment and it is widely popular among chauffeur-driven owners. 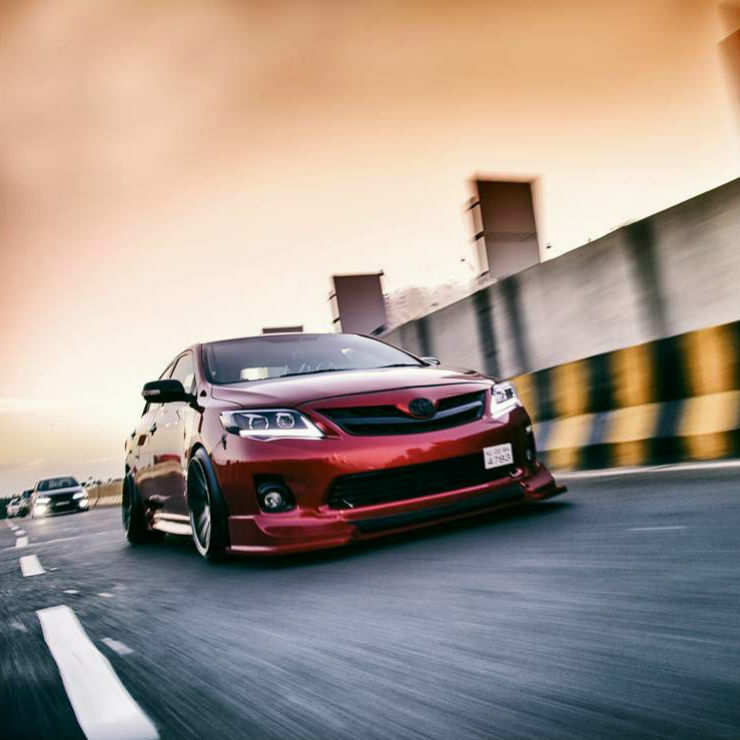 Here is a Corolla that sports a different attitude and looks great. The red coloured Corolla gets a wide-body kit that includes custom bumper spoiler and side skirts. It also gets new headlamps and a new paint scheme. To give it an aggressive stance, it gets the air suspension that can lower it and pick it up whenever needed. With the chrome delete pack, the Corolla has become a head-turner. The Hyundai Santro became the first car to challenge the Maruti 800 in India. Even though it has been a long time since the Santro has been discontinued from the Indian market, there are many well-kept examples of the vehicle. Here is one unusually modified one that gets customised lowering springs. 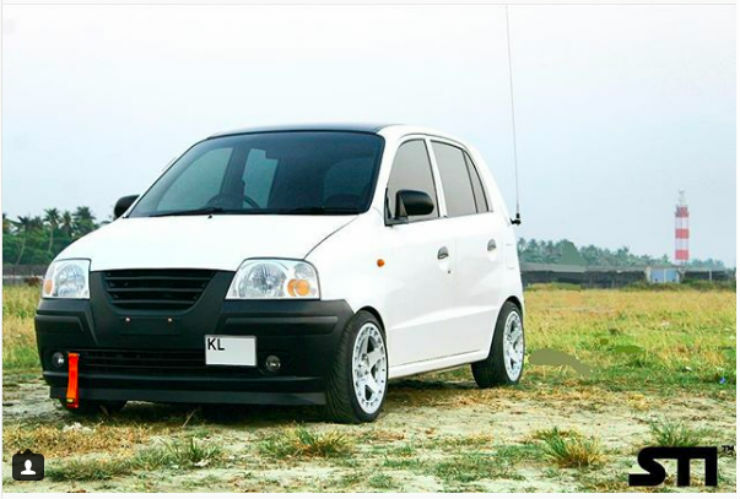 The tall-boy design of the Santro with lowering springs and 15-inch rims make it look extremely good. The CR-V is an unusual car in this list because most SUV owners in India either want to keep the ground clearance intact or increase it. The CR-V is one of the few petrol SUVs available in the country and it is loved by many enthusiasts. The SUV seen here is one of its kind and gets lowering springs that gives it a very aggressive stance. The owner has also added a new matte blue finish wrap on it that gives it a fresh look. The previous generation Accord was an enthusiast’s delight because of its big V6 petrol engine. Even today many enthusiasts own a well-maintained or modified Accord. This one seen here is one of the most extreme ones. 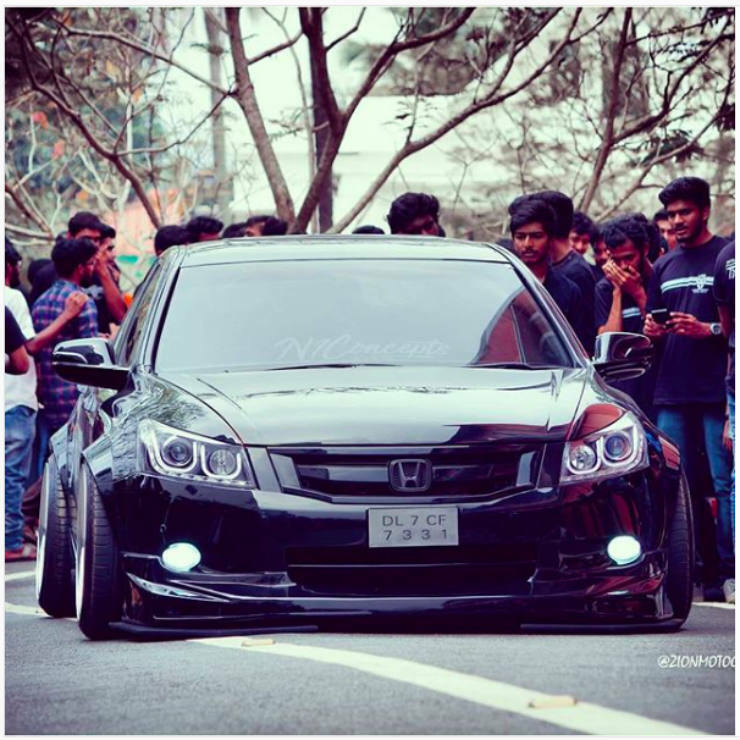 The slammed Accord gets air suspension that allows it to go so low. It also gets an all-black paint scheme with modified fenders that give it an insane look. The negative camber of the aftermarket wheels also add to the stance. The Maruti Baleno RS became the first hot hatchback from the brand. The car came with a 1.0-litre turbocharged petrol engine and a body kit to distinguish it from the regular variants. However, the suspension and the ground clearance remained the same. 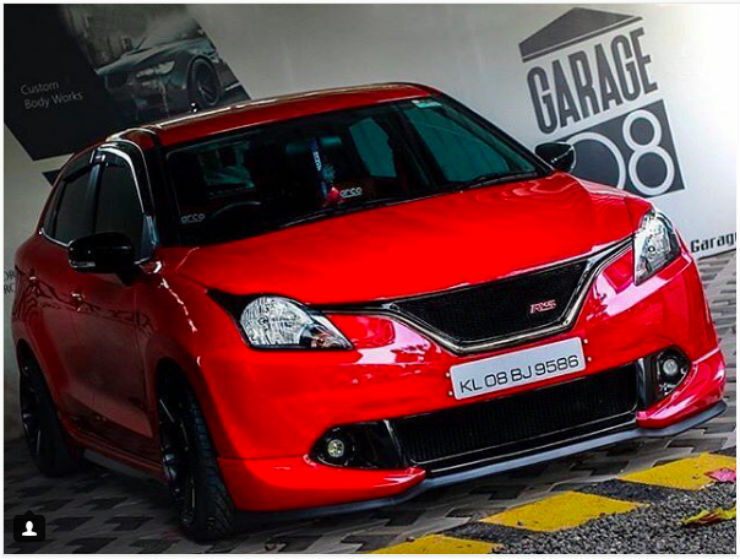 Here is a modified Baleno RS that gets lowering springs to give it the proper hot hatch stance. The entry-level car from the Japanese manufacturer is not very popular in the Indian market but it looks quite good. 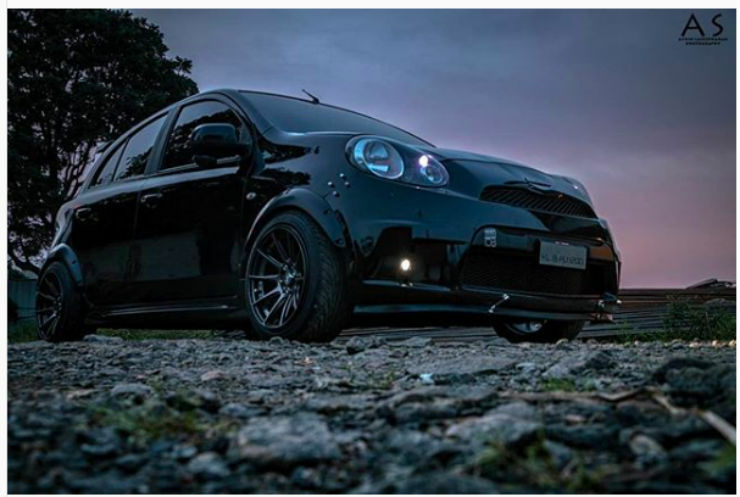 Here is a modified example of the Micra that shows how good the hatchback can look. It gets custom lowering springs with Nismo bodykit, 16-inch rims and a diesel tuning box that increases the power of the vehicle. 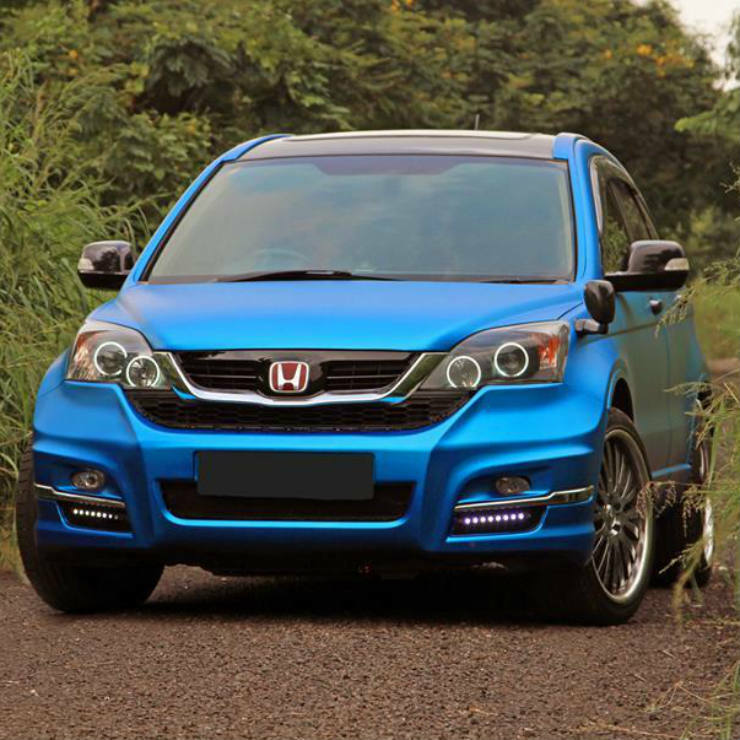 The deisgn of the Honda Jazz makes it look more premium than sporty. 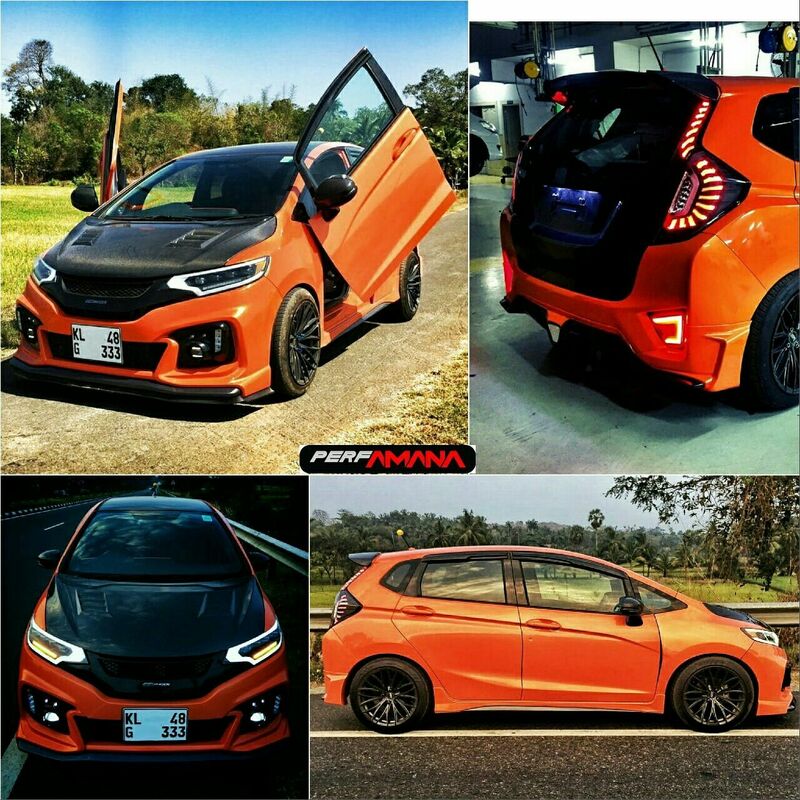 Here is a modified example of the Honda Jazz that gets a Mugen body kit, scissor doors, customised LED headlamps, aftermarket tyres and customised dual-tone body paint. The car also gets lowering springs that gives it a very aggressive stance.